I’ve Got An Oil Leak: What should I do? 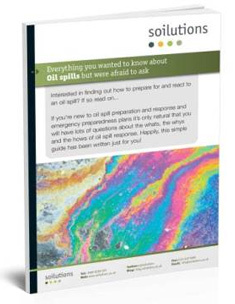 Here are a few tips for oil leaks and spills. These can apply to domestic systems, fuel bowsers, and/or commercial industrial systems. If you’re not sure if it’s safe, get out (raise the alarm) and call the fire brigade. What is safe?- The first thing to look for is oil, if you can see it lying on surfaces then you may have a fire hazard and your best plan will be to get out and raise the alarm. Vapours are the next issue, spills are often noticed by slight odours which are ignored by householders until they become severe. If you smell odours in areas which aren’t usual then get your heating engineer in to assess your system. If the odours are strong, i.e. they make you dizzy, give you a taste of oil in your mouth, then your health may be at risk and you should stay out of the areas which make you feel like this. If it’s your house then contact your insurer to see if you have any cover in place to help you. If you have to wait in the house then ventilate the rooms (e.g. open windows) well and close doors to rooms which smell the worst. Security must come first, so don’t leave windows open if you leave the house. If you think it is safe, and help is far away, then here’s a good plan of action. 1-Stop the leak – our ‘3 ways to stop an oil leak blog’ may help you carry this out. 2-Contact the specialists, start with your heating engineer and move on to your insurance. 3-Stay away from the suspected impacted area – this could be rooms filled with vapour (oily smells), saturated soils (shown by dead plant & grass), oily surface waters. Tank cleaning companies can often solve the problem if you have a leaking tank. By acting quickly, you can often have the remaining oil pumped into a suitable container whilst the tank is dealt with.